Last week, the International Commission for the Conservation of Atlantic Tunas met in Paris. Among other responsibilities (such as the conservation of Atlantic tunas), ICCAT sets guidelines for several shark fisheries. 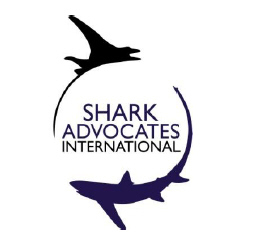 My friend Sonja Fordham, President of Shark Advocates International, was there representing SAI. She is optimistic about a series of new shark conservation measures that the Commission adopted. A total of six shark conservation measures were proposed, which is a new record for ICCAT. The ICCAT delegates agreed to make keeping oceanic whitetip sharks illegal (it’s basically impossible to avoid catching them, but now they have to be released). This species, prized for it’s large fins, has been overfished for years. ICCAT also agreed to limit the number of hammerhead sharks caught by fishermen. A similar restriction for mako sharks was also agreed upon, though it won’t start until 2013. Finally, ICCAT agreed upon a process for penalizing nations that don’t accurately report their shark catch. I’ll have more on the strengths and weaknesses of this process in a later post, but in the meantime, it’s good that there is a process at all. Porbeagle sharks and common thresher sharks failed to get protections, and a proposed ban on finning at sea wasn’t discussed at this meeting so that the delegates could focus on other issues. What about those other animals ICCAT is charged with protecting, you ask? Well, Bluefin tuna are still going to be dangerously over-exploited.